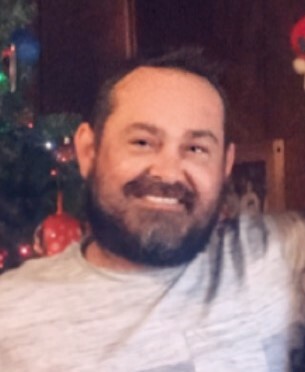 Bobby Wayne Hawkins, 36, of Winchester, passed away Sunday, January 20, 2019, at UK Medical Center. He was born in Nicholas County on December 25, 1982, to Garrett Hawkins and Connie Craig Blankenship. Bobby had worked for Prime Finish in Paris and was working for Maximus in Winchester. He is survived by his wife, Jacquelyn Paige Hunt Hawkins; his children, Payton Hernandez, Ethan Hernandez, and Eva Fitzwater; his father, Garrett Hawkins and wife Carla; his mother, Connie Craig Blankenship and husband Chad; his brother, Gary Fryman; his sisters, Misty Hawkins and Stephanie Thoroughman; seven nieces and nephews; along with many extended family members and friends. He was preceded in death by his twin daughters; Abigail Mhari and Breezi Lhynn Hawkins; his paternal grandparents, Susan Frances Jolly and Elmer Lee Hawkins; and his maternal grandparents, Elizabeth Morris and Billy Craig. Services for Bobby are private and being cared for by Boone-Nickell Funeral Home. To offset expenses, donations may be made to the funeral home (150 West Water Street, Flemingsburg, Kentucky 41041).